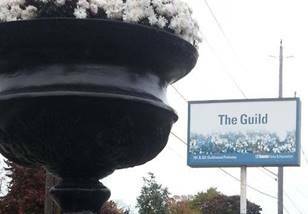 We invite you to attend the Friends of Guild Park Annual General Meeting, Thursday evening October 22, 2015, starting at 7 at the Guildwood Community Presbyterian Church (140 Livingston Rd, at Guildwood Parkway). We know people are keenly interested in Guild Park’s future, and we frequently hear from you that you wish there was an opportunity to hear more from official channels. In the last 12 months the Friends directors have been in contact with various City of Toronto officials and had a number of opportunities to learn more about the plans for the Guild Park. In order to share what we have learned The Friends of Guild Park are including a special “Community Conversation” at this year’s AGM. Plans by Guild Park’s owners, the Toronto & Region Conservation Authority (TRCA), to make the shoreline more welcoming to people, as part of the TRCA’s waterfront plan for Scarborough. Although we may not be able to provide all the answers, we welcome your questions and comments on these or other issues relating to Guild Park. A summary of our Community Conversation will be provided to park officials and we will ask them to respond officially. We hope this approach will help “kick-start” the holding of regular public meetings about Guild Park. The AGM agenda also includes an update from our President on events and activities hosted by our group in 2014/15, opportunities for members to get involved, a report from the Treasurer and the nomination and election of 3 volunteer directors to the board of Friends of Guild Park. Renew your membership or become a member to show your support and then join us for a “Meet & Mingle” 8:30 - 9:30pm. Full AGM details will be sent to our supporters and are also available at [JAY – Please include the link to the web-page]. We encourage everyone interested in Guild Park to come to the AGM. Be sure to renew your membership, or become a member of Friends of Guild Park, before the event. Membership info is available at this link at http://guildpark.ca/membership. Friends of Guild Park and Gardens are thrilled to announce that their application for a Friendship Tulip Garden was chosen, and 700 red and white tulips will enhance Guild Park as a result! 2015 is the 70th anniversary of the liberation of The Netherlands and the end of WWII. It is also the 70th anniversary of the first gift of Dutch tulip bulbs to Canadians as a symbol of the appreciation for the role Canadian soldiers played in the liberation of The Netherlands and the hospitality Canada provided to the Dutch Royal Family in Ottawa during WWII. gardens will be planted with 700 red and white tulips. The Friends of Guild Park and Gardens are honoured that their application was chosen to be one of these sites. The tulips will be planted in a heritage bed at Guild Park located south of the Greek Theatre, running east-west along the green chain-link fence. The community will be invited to the Planting Ceremony being held this fall and the Bloom Celebration in the spring. We had another successful shoreline cleanup at Guild Park this morning. Although we did not have any students from Laurier joining us, we had students from St. John Paul II, Cardinal Newman, and R H King. One of the JPII students will be writing an article for the Guildwood News & Views. Mitzie Hunter, our MPP, joined us for the first bit. And, the weather gods cooperated: it did not rain! The total weight of the garbage, recyclables, (and 2 tires) collected is 75 kgs (approx 165 pounds). Note - the guide estimates each tire to weigh 15 kgs.. The 'dirty dozen' of items collected is small plastic pieces, plastic bottle caps, cigarette butts, construction materials, plastic beverage bottles, food wrappers, small glass pieces, pieces of paper, straws/stirrers, beverage cans, other plastic bags, and big plastic pieces. The most unusual items collected were a candle, 2 ear plugs (different colours), and a Christmas light. All the new fencing around the old Guild Inn and the excavation of 15 sculptures and architectural pieces throughout Guild Park are welcome signs that the proposal to develop a major restaurant and events facility is underway. While Toronto City Council must still approve details about what will be built on the site, preparation work began this summer to reposition 15 major artifacts to make way for the expanded, $16-million development. As well, work has started on the original 1914 building, which formed the hub of the old Guild Inn. The additional wings are being demolished before work begins to restore the century-old structure. The original building has been unused and boarded up since October 2001. Since then, the discovery of asbestos insulation throughout the building, plus the onset of black mould and animal infestations inside created hazardous conditions. The building has been fenced off and construction workers have had to wear protective clothing while removing parts of the old Guild Inn. Other structures at Guild Park have had to be “removed” to make way the new expanded buildings. The park greenhouse was dismantled. Its future is unknown. The recently renovated stone garage has been demolished. Its exterior stonework – thought to originate from Toronto’s historic Stanley Barracks, has been salvaged and is being reused as bases of some of the repositioned park artifacts. A second driveway has also been built to provide new access to Guildwood Pkwy from the park. Initially, this will be used for construction equipment. Plans indicate this road will become permanent, adding necessary access to Guild Park’s existing, single-lane gated driveway. Our understanding is the positioning of this new driveway was done to avoid encroaching on the environmentally sensitive areas (ESAs) in the eastern portion of the park (between the existing parking lots and the existing roadway that extends Galloway Rd. down to the waterfront). City regulations make it illegal to develop ESAs. The work on repositioning the monuments is expected to wrap up soon. The repositioning will improve pedestrian flow throughout the park, by encouraging park visitors to explore other areas on the site, especially near the old pioneer log cabin. Local City Councillor Paul Ainslie has announced a ribbon-cutting ceremony on Sat. October 3 to mark the completion of this monument project. The event will begin at 10 a.m. at the main gates. You can contact his office for more details. Guild Park continues to operate as an important neighbourhood park for local residents and as a popular “destination park” attracting visitors from elsewhere in Toronto and beyond. During the first nine months of 2015, Guild Park has hosted 12 volunteer-organized events/activities, attracting more than 8,500 visitors. 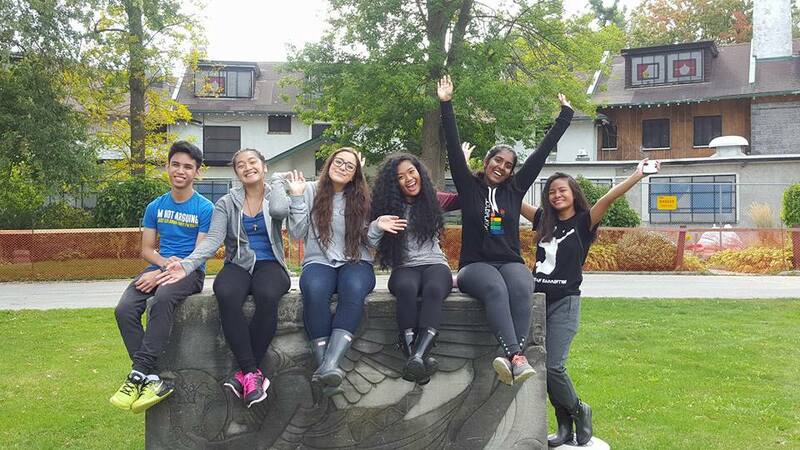 Various walking tours and park events – including two Jane’s Walk, four tours as part of Toronto Doors Open, and two shoreline clean-ups (400 people), led by volunteers from Friends of Guild Park. Despite considerable uncertainty about Guild Park’s future development plans and with very limited public facilities on site (no running water; four temporary porta-potties) these events were hugely successful and indicate great things for the the future of community events in the park. Friends of Guild Park & Gardens has had to cancel plans to hold this year’s family Hallowe’en Haunt event at Guild Park due to major construction throughout the site is limiting access to sections of the historic 88-acre park. While Guild Park remains open to the public, much of the existing parking lots are fenced off as part of the construction zone surrounding the old Guild Inn. Fewer than 10 parking spaces are currently available for visitors, some walking paths are impassable or require major detours and only two portable toilets remain available. While we’re disappointed by this turn of events, we expect to hold the Hallowe’en event in Guild Park next year. Thanks to everyone who came out the event over the past three years and to the volunteers and sponsor who made the event possible. On Septmeber 15th John Mason President of Friends of GP submitted an application to the Ontario Heritage Trust (OHT) for a provincial heritage plaque on behalf of Rosa & Spencer Clark. Rosa and Spencer Clark left their mark in Ontario through their life-long commitment to making Ontario – and the world – a better place through art. For more than 50 years, they supported the arts, as well as individual artists and artisans, created the thriving community of Guildwood in East Toronto and preserved important architectural artifacts for future generations. It was a challenge to be both full and succinct (under 1000 words) while focusing on the "provincial significance" of the couple and their work. We'll hear further on this in December or early in 2016. Copyright © 2014 Friends of Guild Park and Gardens. All rights reserved.